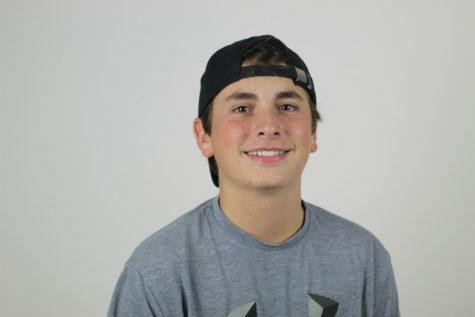 During his first year with The Red Ledger, sophomore Drew Gager will contribute as a staff writer. His hobbies include golfing and playing video games. He loves to watch football and wants to be a NFL analyst when he grows up. He joined The Red Ledger staff so he could pursue his dreams to be on ESPN and talk about football all day long.. His favorite movie is “Hateful Eight” and he doesn’t have a favorite actor because he believes Samuel L. Jackson, Will Smith, and Denzel Washington are all the best actors of all time. He plans on going to Oklahoma University to major in journalism. After Drew has made five hundred billion dollars doing something (to be determined), he will spend it all on junk food. Drew is a part of a big family at home. He has two sisters and one brother at home, and he knows being a part of The Red Ledger family will be a great experience.